Hard to believe we are already halfway through the first month of 2017! So much has already happened this year. I just got back from Winnipeg where it was below -10 degrees. TALK ABOUT FREEZING. Luckily, I didn’t have to leave my hotel too much and I had a fantastic time at All Access 2017 hosted by On Screen Manitoba. 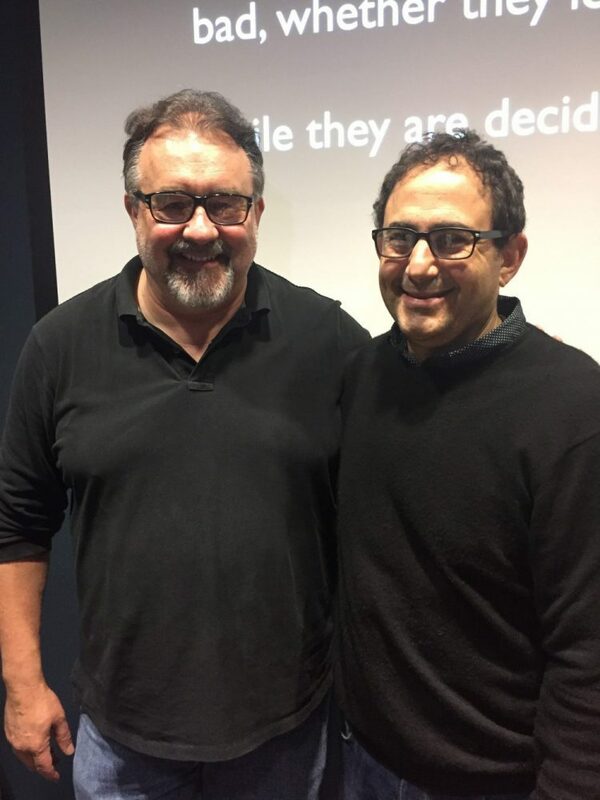 I not only got to give a keynote address and take part in a fantastic panel discussion, but I also got to meet with some wonderful filmmakers. That is truly one of my favorite things. There is a lot going on in Winnipeg! Look out for some informational blog posts coming up in the next few weeks where I will be talking about the importance of planning out the marketing of your films from inception and at various stages of the process which was the subject of my keynote. In the meantime, I want to tell you about yesterday. As many of you know, outside of being a filmmaker and a marketing and distribution consultant, I have the pleasure of teaching some courses at Cal Arts. Yesterday, we had the fantastic Disney legend, Don Hahn, join us to give a presentation on unlocking one’s creative self. If you aren’t familiar with Don, he is best known for films like Beauty and the Beast and the Lion King. One of the things I truly like about Don is that he is also an avid fan of documentaries and has made some amazing ones himself. Those include Waking Sleeping Beauty, Earth, the incredible Tyrus (which he was the EP on) and many others. I have to say that his presentation wasn’t only a learning experience for my students, but myself as well. (And I have to say this is always the case in our Guest Artist Workshop class). Don touched on a lot of really interesting and important topics. He talked to the students about not letting fear hold them back, about the importance of creative collaboration, and about how many artists borrow and take from each other. But there was one message that really stood out to me and I think to my students as well. That being, there is no such time in life when we are ready. He implored us to remember that it is a terrible thing to sit around and wait to be ready. Sometimes, you have to just get out and create. Don’t worry about the rest. Just get out and create. What do you all think about that? How many times in life have we all let the fear of failure hold us back? How many times have we said, I’m not ready yet? Don’s message is one I think people from any industry can take heed from. 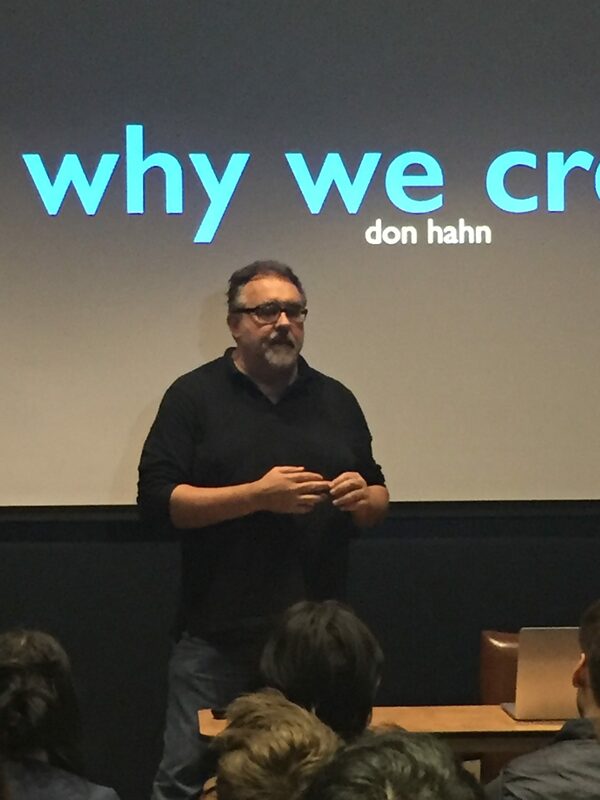 Thank you very much, Don, for coming and talking to the students at Cal Arts. Keep checking back regularly. I will be posting content from Sundance Film Festival coming up!